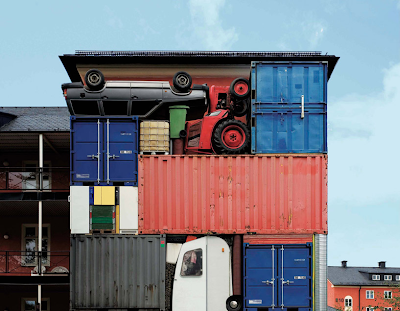 This sculpture is particularly compelling to me in its use of shipping containers. In most ways they are my bread and butter. Shipping containers are synonymous with prosperous times and international trade. With as many as thirty million shipping containers on the ocean at any given time artists and designers at the NRW Forum Dusseldorf found new applications outside of global trade.